Passive antibody therapy (PAT) is highly effective for the immediate treatment of a variety of pathological conditions. 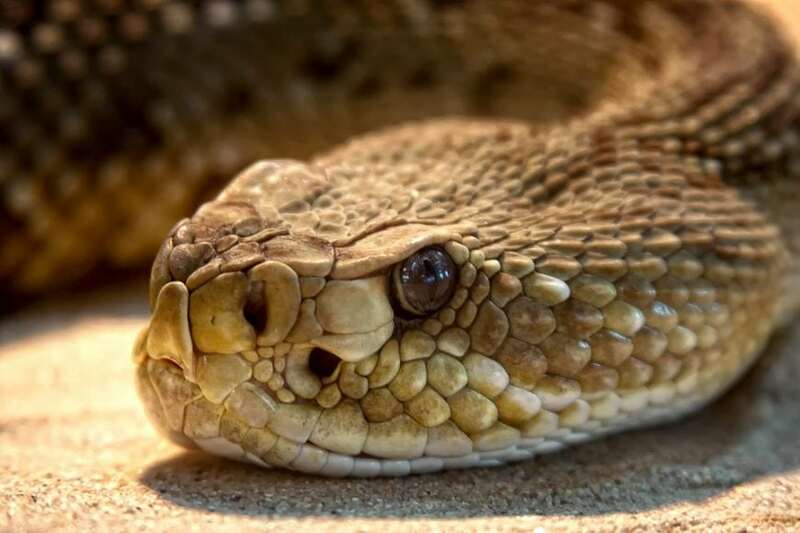 In the case of snake bites, PAT has the additional advantage of containing a diverse mixture of antibodies that can neutralize the complex mixture of proteases that mediate the deleterious effects of the venom. Most preparations of PAT utilize horse serum as the source of the antibodies that provide the therapeutic activity. However, the use of horse (ho) antibodies as a therapy involves the introduction of foreign proteins that can be recognized by the immune system of the patient. The least severe reaction is serum sickness caused by the induction of an immune response against the horse proteins 7-10 days after application of the PAT. Of greater concern is the potential for a rapid, allergic response against the PAT and anaphylactic shock. Despite its life-threatening consequences, patients normally are not screened for allergies prior to administration of PAT. Therefore, we have developed an electrochemical ship immunosensor to detect reactive IgE in patient sera. This type of device determines the concentration of the analyte of interest by monitoring changes in the current or changes in the electronic interfacial properties such as impedance and capacitance caused by the formation of immunocomplexes on the electrode surface. Unlike other techniques, electrochemical methods are not usually affected by sample impurities and the equipment required is relatively simple and of low cost. In the developed sensor we have used the entire hoIgG3 as antigen cross-linking to chitosan by glutaraldehyde to improve cost and portability, this target was combined with an SPE-based platform that utilized the redox cycling properties of hydroquinone after conversion by alkaline phosphatase activity. Its electrochemical characteristics allow it to be oxidized to quinone at a low potential, to avoiding the interference of blood components at higher potentials. The decreasing of an amperometric signal caused by oxidation of the hydroquinone can be significantly enhanced by the recycling of quinone. This platform is high selectivity and displayed high sensitivity with a detection limit approaching 0.5 pg/mL. At this level of sensitivity, it suggests that this immunosensor could not only identify allergic patients prior to PAT administration, but it also can be used as to confirm diagnoses of antivenom hypersensitivity as well as reactivity against various other PATs prepared in equine. The excellent performance of reproducibility and sensitivity exhibited by the immunosensor indicates that this methodology could be practical and inexpensive. In addition, the electrochemical hoIgG3 testing methods developed appear to be superior to the conventional ELISA or enzymatic spectrophotometric methods due to the short detection time and the absence of pretreatment steps. Normally, 20s were needed for measurements from the electrochemical method compared to about 10 min for the spectrophotometric method and 3h for an ELISA, both of which require sample preparations. Therefore, the development of this immunosensing test represents an important improvement in the diagnosis of patients with allergies to therapies generated from horse immunoglobulin preparations. This hoIgG3-analytic system requires no standard curve and quantifies allergen-specific human IgE (humIgE) at sub-picogram concentrations. 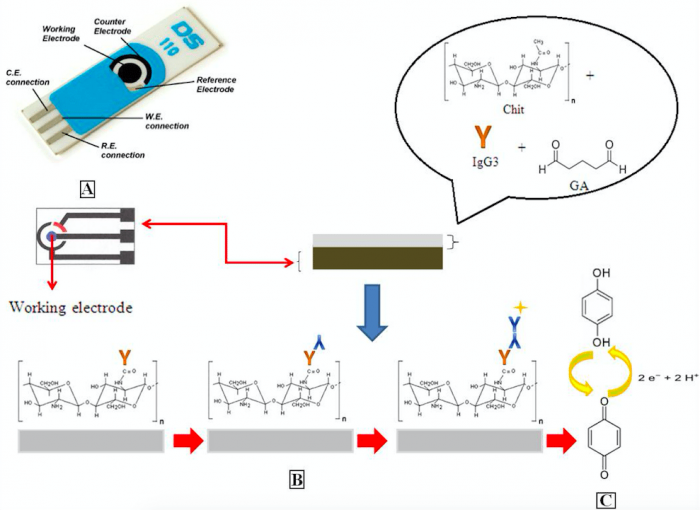 These findings are described in the article entitled Ultrasensitive and rapid immuno-detection of human IgE anti-therapeutic horse sera using an electrochemical immunosensor, recently published in the journal Analytical Biochemistry. This work was conducted by Isis C. Prado, Andre L. A. Souza, David W. Provance Jr., and Salvatore G. De Simone from FIOCRUZ and Ricardo J. Cassella from Federal Fluminense University. Salvatore Giovanni De Simone is a senior researcher at the Oswaldo Cruz Foundation Center for Technological Development in Health. His areas of expertise are electrophoresis, protein purification, immunology, and proteomics.